Shopping for Dinotrux Construction Toys? 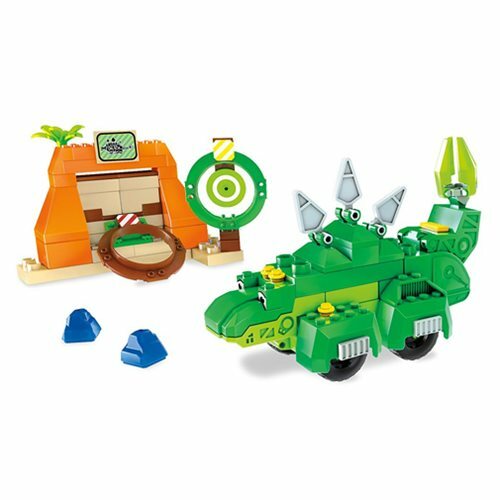 Moments are never dull with the half-dinosaur, half-construction vehicle, Garby, from Dinostrux. In large scale, this Dinostrux Garby's Target Smash Vehicle uses kid powered motions to trigger hilarious movements. Feed him a ore and see him "shoot" it of his behind! Moving him around will prompt him to say sounds and phrases. This awesome half-dino, half-vehicle Dinostrux character measures approximately 12 1/2-inches long x 8 1/2-inches tall x 5-inches wide.